I knew Brian and his family well over forty years. Brian’s Mom & Dad are my friends as well as my neighbors. Ed and I had thirty year plus careers working for the City of New York. Ed was a ranking fire fighter and I was a detective . Both of us watched our children grow together. My older son and Brian shared a ski house with friends and shared other hobbies and pastimes. I new very early that Brian wanted to be a fire fighter just by watching him. He was always playing on Ed’s garage roof , which I thought was dangerous. But I think it was in his blood. Years later , Brian became a member in our Volunteer Fire Department and every Christmas he would stop at our house dressed as Santa Clause for the little guys. He and the “boys” always left stuffed with shrimp and whatever fish goodies my wife offered. 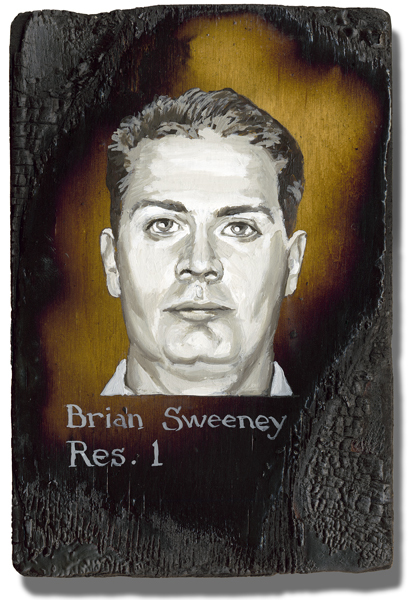 Brian’s big day came when he was recruited to NYFD from a Connecticut Fire Department. He was on cloud nine. Days before 9/11 I had given Brian cigars for EMT’s who gave me first aid when I was injured in LOD. That was the last time I would see him. I still cannot talk about him or mention his name without getting choked up with emotion. I will NEVER FORGET him or the others who were murdered that day. Rest in Peace Brian…….